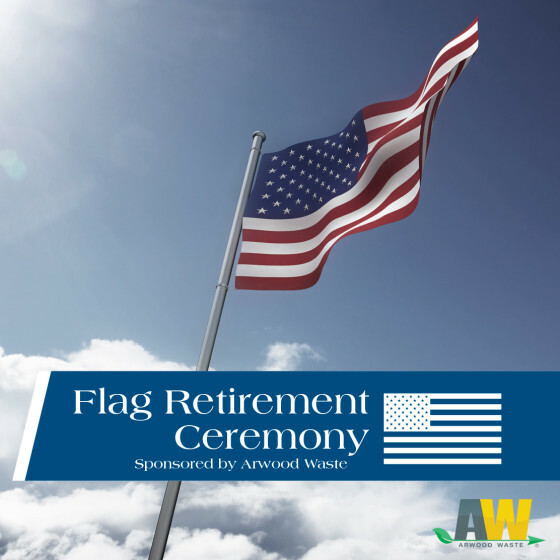 In conjunction with Flag Day and National Garbage Man Day celebrations, Arwood Waste recently held it’s annual Flag Retirement Ceremony. This year’s ceremony was held at the home of John D. Arwood, President of Arwood Waste. The U.S. flag is a beacon to the world of the core American values that we hold most dear–Freedom, Honor, Justice and Respect. While those values will always live on, each physical U.S. flag eventually reaches the end of their life-span. 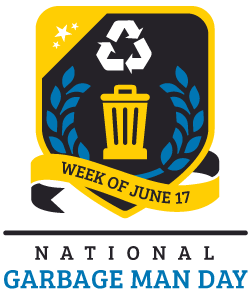 Arwood Waste is proud to continue offering this free public service throughout the year in partnership with local Boy Scout Troops and local U.S. Military. If you have a damaged, faded or old U.S. flag, Arwood Waste is honored to properly dispose of it for no charge. We want to make this service easy for you. 1. Send us your Flag. 2. We will retire your flag. Arwood Waste stores all U.S. flags received and holds a Flag Retirement Ceremony in conjunction with Flag Day each year during which all collected flags are respectfully and properly disposed of. We’d be honored to include yours. 3. Share with a Friend. Properly retiring a flag is not a process that everyone is familiar with. Why not let your friends and families know about this free community service from Arwood Waste? 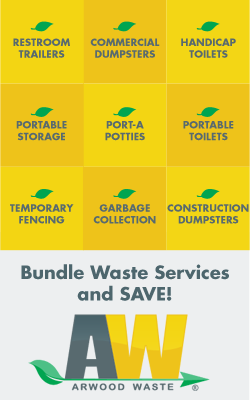 Arwood Waste is proud to offer this public service at no charge. The post Flag Day 2016 – U.S. Flag Retirement Ceremony appeared first on AW Sites.